The SB Smoke e-cig is a very well made device. The basic starter kit will cater for the majority of light smokers and recreational users. Like Green Smoke they only have one product range of e-cigarette which they package in a variety of four different kits ranging from around £60 to £150, price increases with the more options like additional batteries or refills. No eliquid option in their e cigarette range, no shisha pen or mini-tank, though they do a vaporizer. Their eLiquids are well made in proper laboratories using proper ingredients but unlike V2 the consumer can not get a batch test of his actual eLiquid. 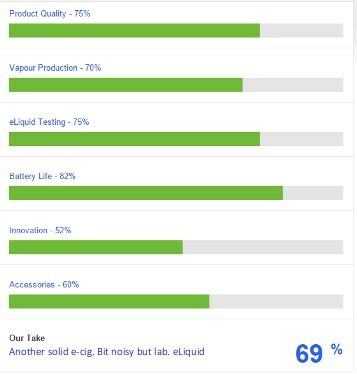 This aspect is reflected in their high score in the e-liquid testing category of the review below and helps push up their overall score significantly. 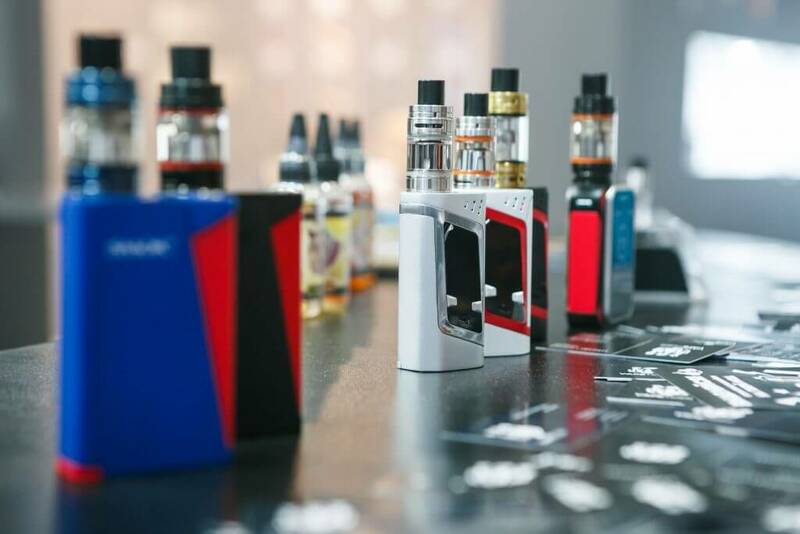 The e cig reviews we analysed show that vapour production is better than the “more popular” e-cigarettes that can be found in the UK and battery life on their Super Max battery per charge is very good – lasting a full day with heavy vaping. Vaping feels smooth however the throat hit associated with normal smoking is not as significant as either V2 Cigs or Green Smoke even when using 2.4 mg strength. Buy from their USA head office as we understand there have been issues with the independent UK retailer. We found that when vaping there is a louder than usual air intake sound as air is taken in to blend with the vapour as you inhale. This has been noted in a number of reviews. This felt a little strange but was also accompanied by a very easy draw – maybe too easy – much less resistance than a normal cigarette so the feeling is not quite the same as when smoking. Relatively very costly cartomisors/refills will affect ongoing cost. Whilst there are draw backs with this e-cigarette the advantages of reliability and a well manufactured products outweigh them. Certainly a good electronic cigarette product but not the very best e-cig out there. Excessively expensive refills making running costs the most expensive of the line up – need to fall in line!